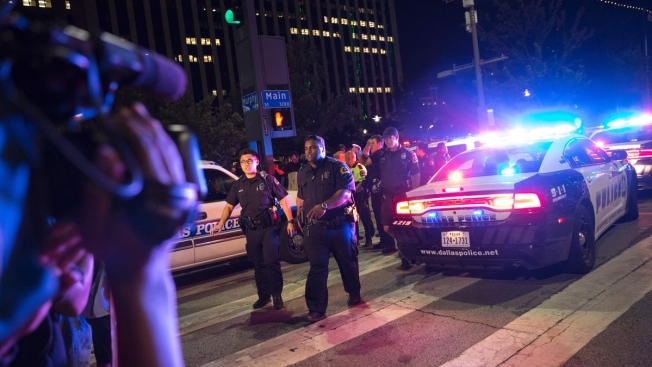 Michael Krol, an eight-year Dallas Police Department veteran, was among the five police officers gunned down in Dallas overnight at a peaceful protest. Krol had also worked as a jail worker with the Wayne County Sheriff's Office in Detroit, Michigan, from 2003 to 2007, Sheriff Benny N. Napoleon said in a statement. "He got into law enforcement and worked really hard to be a police officer," Krol's uncle Jim Ehlke told NBC affiliate WDIV in Detroit. "He spent some time at the correctional facility. It wasn't quite what he was looking for, so he worked pretty hard to find a job and got one in Dallas." Ehlke said the family always worried about Krol's safety, but knew he was committed to the job. "He was all in," Ehlke told the station, "he was all in." "We are saddened by the loss of the dedicated officers in Dallas — one of whom was a former member of this agency — and also the wounding of the other officers,” said Napoleon. "Those officers made the ultimate sacrifice and died honoring their oaths to protect and serve. Our thoughts and prayers go out to their families and also the Dallas Police Department." Michigan Gov. Rick Snyder said in a statement, "We didn’t need this tragedy to be brought home to feel its impact, but still it hurts more this way." NBC affiliate WWLP in Massachusetts reported Krol graduated from East Longmeadow High School in 1994.